Eating disorders... one of those things no midshipmen likes to hear or talk about. However, sometimes midshipmen come to USNA with disordered eating attitudes and behaviors and sometimes these attitudes and behaviors develop and/or worsen during their time here at the Academy. Once started, disordered eating behaviors may become self-perpetuating and progress into a full blown eating disorder. Dieting, bingeing, and purging help some people cope with stress or difficult emotions and help them feel as if they are in control of their lives. However, these behaviors undermine physical health, self-esteem, and a sense of competence and control. So, what is disordered eating? Disordered eating exists when one’s attitudes about food, weight, and body image lead to very rigid eating and exercise habits that can jeopardize one’s health, happiness, performance and safety. Disordered eating becomes an Eating Disorder when there is a persistent disturbance of eating behavior or behavior intended to control weight, which significantly impairs physical health or psychosocial functioning. Anorexia Nervosa and Bulimia Nervosa are the most commonly known eating disorders. 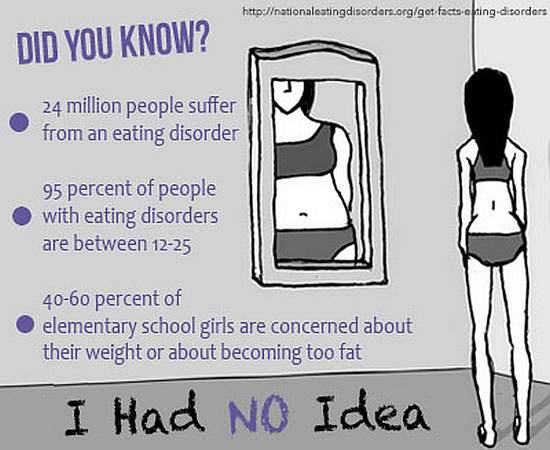 Eating disorders can have very serious psychological and medical consequences. They can be fatal; however, they are often highly treatable and are particularly responsive to treatment with early intervention. Untreated eating disorders can be progressive and, in some extreme instances, life threatening. It is important for those experiencing a pattern of disordered eating symptoms to seek specialized professional help offered at the Midshipman Development Center as soon as possible.